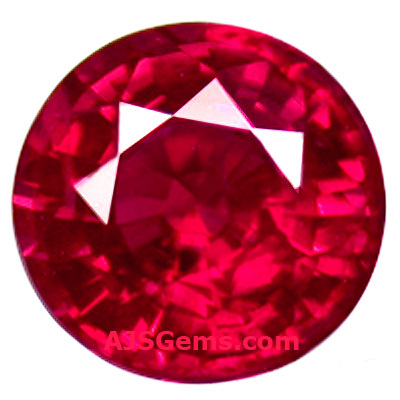 Natural ruby is the rarest and most valuable of all colored gemstones. The record price paid for a ruby at auction was $3.6 million, at Christie's in St. Moritz in 2006. This was for a 8.62 carat unheated cushion cut Burmese ruby set in a Bulgari ring. The price of $425,000 per carat set a new record not only for rubies, but for colored gemstones. The buyer was Lawrence Graff, a well-known London jeweler. Fine ruby is so valuable because of its extreme rarity. Ruby is the red color of corundum, the same mineral as sapphire. But where other corundum colors such as blue, yellow and pink are quite rare, gem quality corundum is extremely rare and is found in only a few locations in the world. The most valuable rubies come from Burma, now known as Myanmar. The region famed for the very finest rubies is the Mogok Valley, located about 200 km northeast of Mandalay in northern Burma. It is believed that ruby mining here has been active for more than a thousand years, and this is the source of the rare "pigeon's blood" ruby. The best Burmese rubies have a fully saturated red and a unique fluorescent quality. Some specimens also have a velvety softness due to tiny inclusions of rutile that are known as "silk" in the gem trade. While Mogok is the most famous location in Burma for fine rubies, most of the Burmese rubies found today actually come from a different location: Mong Hsu in the Shan State. The Mong Hsu deposit was discovered only in 1992, and the deposit was so large that it was hailed as the most important discovery of Burmese ruby for hundreds of years. But these Mong Hsu rubies were not quite the same quality as the famed Mogok rubies -- they had a tendency to a slightly bluish or purplish hue which was not as attractive. However, the color can be improved by heat treatment, so virtually all the Mong Hsu ruby in the market has been heat treated. Prior to the discovery of the Mong Hsu ruby deposit, there was a period when virtually all the world's supply of ruby came from locations outside Burma. In 1962 there was a military coup in Burma led by Ne Win, and the military took control of the Mogok ruby mines. Burma was virtually closed for decades, as Ne Win pursued his own bizarre brand of socialism. The world was forced to look elsewhere for ruby. They looked to Thailand, because Thailand had the largest supply of facetable material. The Thai rubies came from Chanthaburi and Trat, an area of eastern Thailand bordering Cambodia. The Thai rubies had a very different look from the Burmese rubies. Though the Thai rubies had excellent clarity, they had a high iron content which rendered them a dark garnet-like red. The Chanthaburi gem burners discovered that the color could be improved with heat treatment, and the Thai rubies went on to to have a major market success. But by the mid-1980's the Thai mines were worked out. 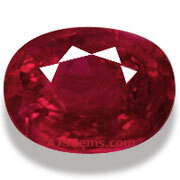 As the supply of fine ruby from Burma has dwindled, African ruby has met some of the world demand. A significant deposit was discovered in Madgascar in 2001 in the Andilamena area and for a number of years most of the new ruby in the market was from the Madgascar mines. More recently there has been some Tanzanian ruby, but the most of the new African material is now coming from Mozambique, including some rare unheated stones and some beautiful ruby stars.